There are seemingly endless things to do in Seoul, rightfully so, given its size. There are so many people, such a vibrant culture, and businesses are constantly searching for the ‘next thing’. Hongdae is an area of Seoul with a hip vibe and tons of character. It’s known for its indie music scene, shopping, and clubs. I went to Hongdae with such humble intentions and wound up in 3 museums, 2 cafes and 1 liquid nitrogen ice cream shop. Let’s talk about coffee shops. 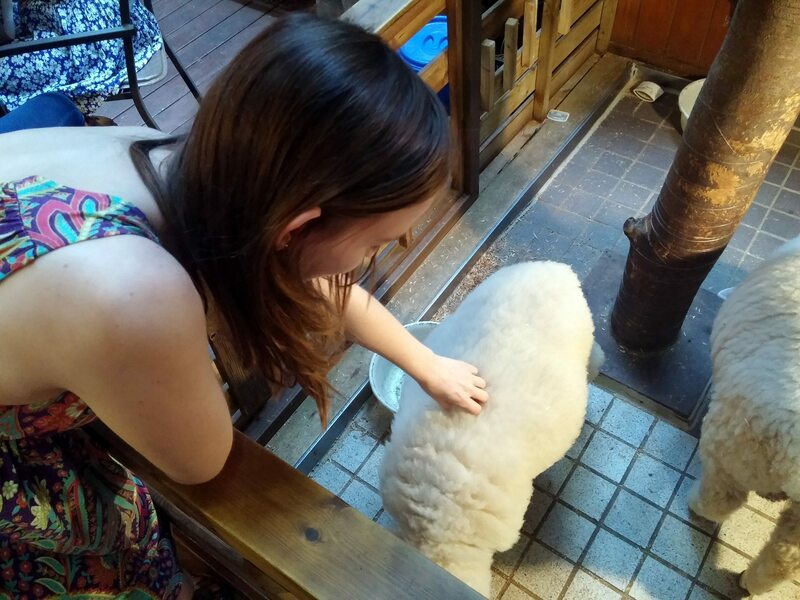 As I led on in my post about the dog cafes, coffee in many Korean cafes comes second to the shop’s real draws. In Hongdae I set out with the intention of visiting a sheep cafe (yes, you read that right) but even before that we found a Hello Kitty themed cafe. The cafe is unapologetically pink. The exterior, the interior, the furniture, everything is pink. Prices were pretty good considering the extensive theming of the cafe so my girlfriend and I opted to try a couple lattes. 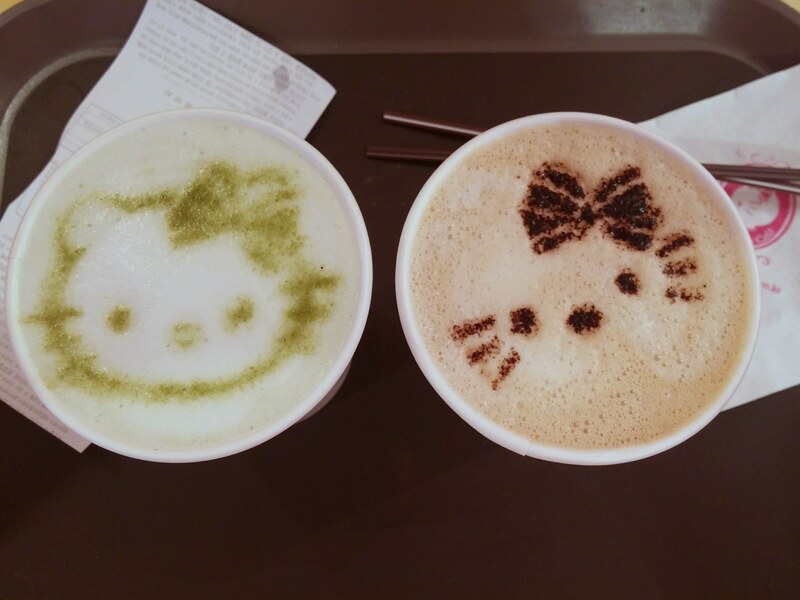 Each drink has its own signature design in the foam, usually some iteration of Hello Kitty’ head. Honestly this Cafe pretty much speaks for itself. The place goes over-the-top with the theme! Absolutely everywhere you look has something Hello Kitty or something pink. People who work there all day must leave with a warped sense of colour! It was a good experience, especially considering we just stumbled onto it. Later I made it to the cafe I had set out for from the start! The Thanks Nature Cafe (aka: sheep cafe!). The cafe was in an open air basement with a mini patio complete with a sheep’s pen. The cafe has a rustic/natural atmosphere to it. With drinks like dutch coffee coming in milk jugs, pyrex contrainers and more, the cafe really feels rustic. Now add a few sheep. This cafe, for a reason unknown to us keeps sheep out in its patio! I grabbed our drinks and headed out to the patio to hang with some of the only sheep in downtown Seoul. The idea is totally crazy, but in such a great way! This is the kind of thing that likely can’t exist in Canada, but here I was on our Saturday – drinking coffee with the sheep. It was as awesome as it sounds. 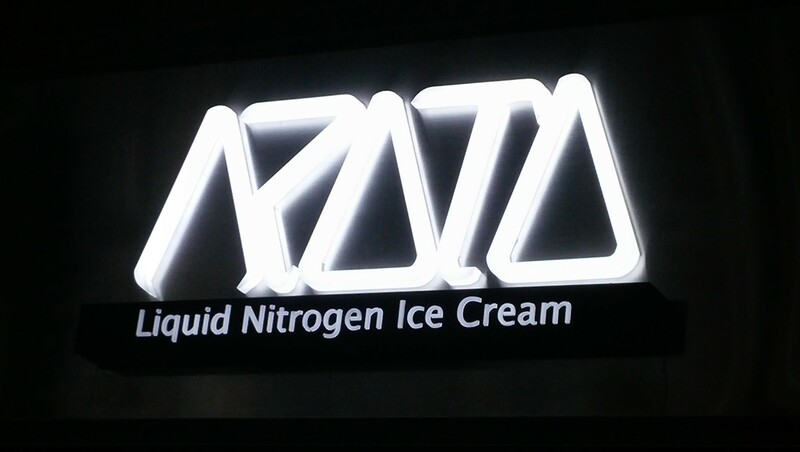 Do you need liquid nitrogen ice cream? Probably not. But is it the coolest way to make it? Absolutely! While scoping out the endless dessert options of Hondae I spotted a chic storefront named Azoto with a line overflowing onto the street. 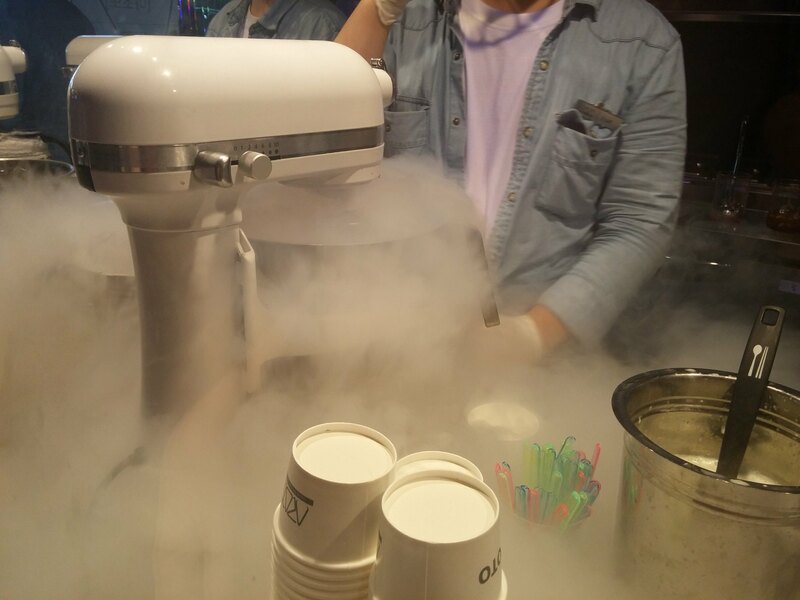 Inside they created instantly fresh ice cream by infusing the ingredients with liquid nitrogen. It made for some pretty nice visuals and delicious dessert. As an added bonus, on the way out people were given samples of instantly frozen Cheetos…It was a bit odd but I was so down. Your photos are great. 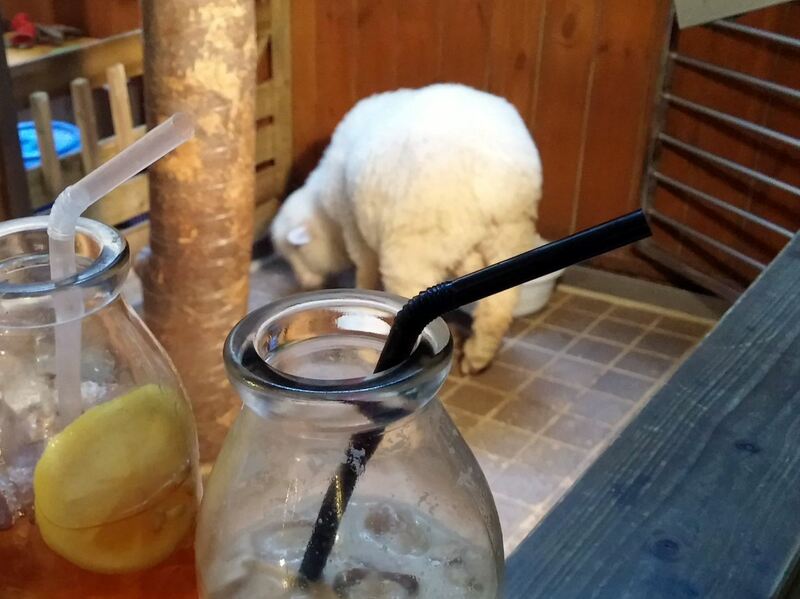 Sheep in cafes! Who knew? seems like you got all the calcium you need today! !